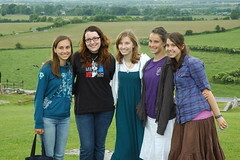 From June 15th to June 27th,, 2010, a group of 37 girls from the United States, Ireland, and Spain traveled throughout Ireland with the Servant Brothers and Servant Sisters of the Home of the Mother. They visited various pilgrimage sites throughout the country, from the tomb of Saint Patrick to 15th century monastic ruins. In June, the Sisters in Chone and several members of the Home in Ecuador went on a pilgrimage to two Marian shrines. We thought of the pilgrimage as a way of thanking Our Mother for the Approval of the Home. So, we chose two Marian shrines: “La Virgen de Agua Santa” in Baños (Ecuador) and “La Virgen de Las Lajas” in Ipiales (Colombia). 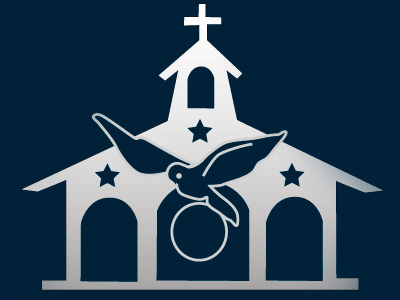 The Home of the Mother is an International Public Association of Faithful of the Catholic Church, approved on June 3, 2010, Solemnity of Corpus Christi, by the Pontifical Council for the Laity. On June 21st, at 11:00, Cardinal Stanislaw Rylko, President of the Pontifical Council for the Laity, presented the Home with the decree of approval as an International Public Association of the Faithful. The official ceremony was held at the Pontifical Council for the Laity in Rome. The celebration of the approval of the Home began with a Holy Hour on Sunday, June 20th, led by Fr. Felix Lopez, General Superior of the Servant Brothers of the Home of the Mother in the Church of San Girolamo della Caritá. Afterwards, Cardinal Julián Herranz, President of the Disciplinary Commission of the Roman Curia, celebrated the Holy Mass for the Home. On the 21st, the Holy Mass was celebrated by His Excellency the Most Reverend Mauro Piacenza, Secretary of the Congregation for the Clergy in the Church of San Girolamo della Caritá. On the 22nd of June, Fr. Rafael Alonso Reymundo, Founder of the Home of the Mother, celebrated a Mass in thanksgiving at 8:00 in the Crypt of St. Peter’s Basilica in the Vatican..
On the 23rd of June at 10:30, the Home of the Mother was present in the General Audience with the Holy Father Pope Benedict XVI in St. Peter’s Square. At 18:00, Cardinal Antonio Cañizares Llovera, Prefect of the Congregation for Divine Worship and the Discipline of the Sacramentes, celebrated Mass in St. Maria della Scala. Members of the Home from all over the world have gathered together to celebrate the approval and to give thanks to Our Lord and Our Blessed Mother for their infinite mercy. Members of the Home of the Mother in all of its branches gathered from all over the world for this occasion. We celebrated together the approval and gave thanks to Our Lord and Our Blessed Mother for their infinite mercy. This video is a summary of the most memorable moments of the celebrations. This book contains a brief history of the Home, an explanation of its spirituality, two letters written by Fr. Rafael to the lay members of the Home, and all the homilies and interventions during the days spent in Rome during the approval of the Home of the Mother as a Public International Association of the Faithful.